Take snapshots. Then rollback, create templates or antlets from them. Then make a new tab in your browser and point it to http://<myantslename>.local or https://<subdomain>.antsle.us if you set the subdomain. 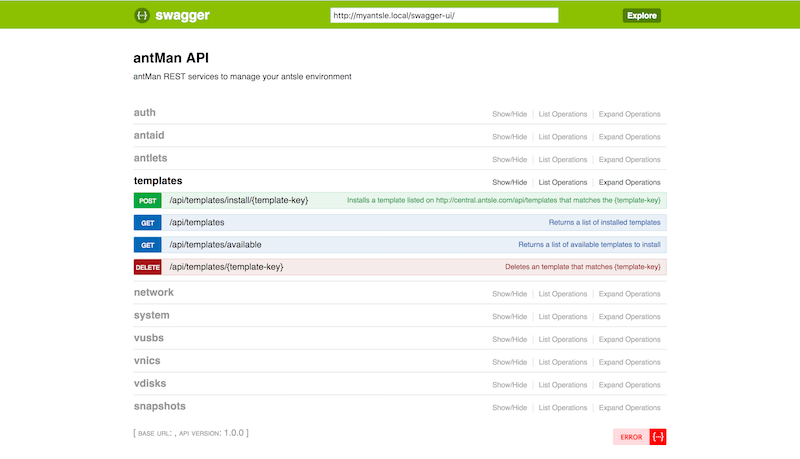 You can start exploring the API by going to http://<myantslename>.local/swagger-ui. Enjoy the new antMan!